The StowAway plastic tackle box that is just the right size for kayak fishing. Fits into backrest pockets, and tucks under deck nets. This tackle box will fit into the Fishing Pack for Modular Kayak Seat. 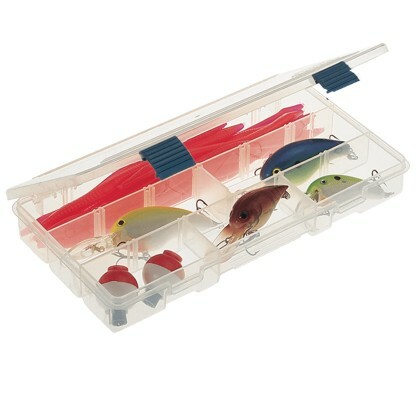 Plano tackle boxes are made of clear plastic that will not affect soft plastic lures. Adjusts to provide 5 to 9 adjustable compartments. Box dimensions: 9.13 x 5 x 1.25 inches.